Begin with palms facing away from you, hanging with straight arms from a pull-up bar. Lift both legs straight up to an "L" Position. 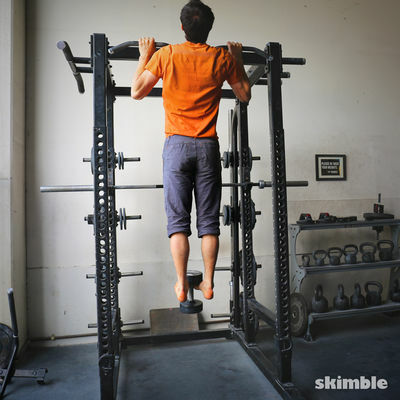 Keeping your legs straight, pull up until your arms form a 90 degree angle. Lower slowly and repeat.